This week prolife students at Eastern Michigan displayed 915 pink crosses to represent the 915 unborn children killed at Planned Parenthood abortion clinics on a daily basis. Abortion advocates stole and vandalized some of the crosses. At Townhall.com, Michelle Sie Whitten, the founder of the Global Down Syndrome Foundation, talks about the terrible counseling she received when she discovered her unborn daughter had Down Syndrome and her refusal to take her life because of it. Whitten chose life for her daughter Sophia. Sophia is now 10-years-old. Tuesday at 1:30 p.m. we'll host a free Teleseminar update on the NO Taxes for Abortion Insurance petition drive. RLM President Barbara Listing will provide an update on deadline and RLM Legislative Director Ed Rivet will explain what will happen after the petitions are submitted to the Elections Division of the Secretary of State's office. Click the link below to listen in tomorrow online! Because of the hard work of prolife volunteers, a deadline date for submitting NO Taxes for Abortion Insurance petitions is set. The state-wide petition drive will end in September. Petitions should be post-marked by Monday, September 30. Keep collecting signatures through September 30, but send in petitions immediately as they are completed. We have surpassed the legal requirement of 258,088 signatures to initiate the Abortion Insurance Opt-Out legislation, but we must have a large cushion of extra signatures to ward off any potential challenge. Our work is not done. Did you know? In Michigan, Detroit accounts for only 7 percent of the population, but in 2012, 25 percent of Michigan residents having abortion were from Detroit. We think the best way to reverse the population decline of our largest city and the state of Michigan is to stop the killing of our innocent future generations. 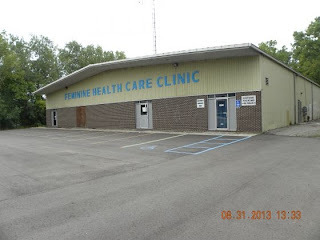 Local prolifers have informed Right to Life of Michigan that an abortion clinic called the Feminine Health Care Clinic in Flint has closed. For years, this clinic was owned by infamous abortionist Alberto Hodari and was recently run by abortionist Theodore Roumell. This closure continues the remarkable trend of abortion clinic closures in Michigan over the last 2 years. Since November of 2011, there have been 10 Michigan abortion clinics which have closed their doors. There are now 28 freestanding abortion clinics in Michigan. Since 1987, the number of abortion businesses in Michigan has dropped from 72 to 28, and the number of abortions performed in Michigan has dropped 52.7 percent.